For many people, the ultimate goal is to sound like a native speaker when the speak. To do that, one of the things you will need to master is how to use and understand English phrasal verbs. The easiest and best way to learn these verbs successfully is by learning them in context… and not trying learning too many at a time! 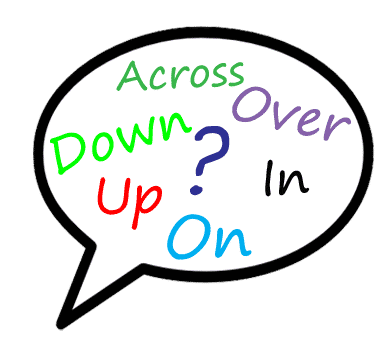 What is an English Phrasal Verb? Phrasal verbs are a combination of a verb plus a preposition (or an adverb). When these are combined together, the meaning of the verb is often changed completely. To make it worse, the phrasal verbs usually don’t make sense if you try to guess what the meaning is. I know, it sounds tricky… but it’s not really different from learning a new word or verbs. Let’s look at a few examples. On its own, take can mean many different things: grab, transport or steal. Although it has more than one meaning, it’s a pretty simple verb and easy to understand. Let’s start with ‘take up’. What could that possibly mean….? To start a hobby – I’m taking up woodworking to keep busy on the weekends. 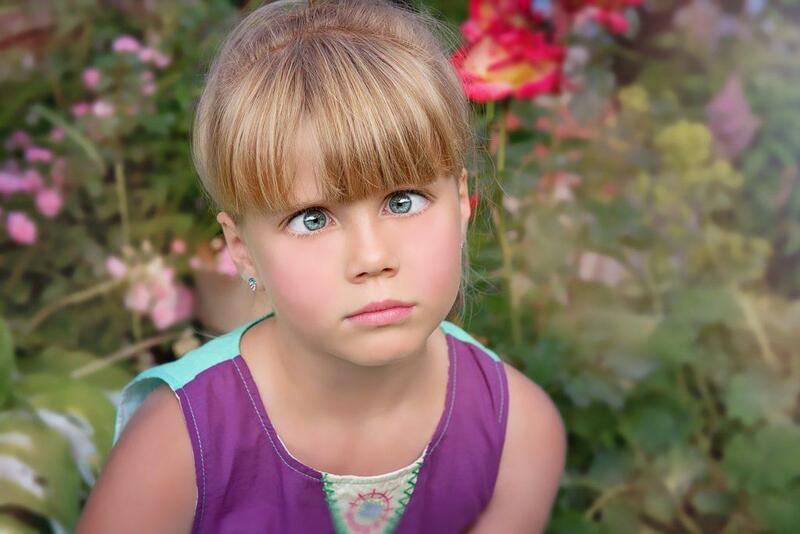 To use resources – Children take up a lot of time. It’s a little bit crazy how adding the preposition ‘up’ can change the meaning so much! To try to make this as easy as possible to understand, English phrasal verbs can be separated with this structure. Let’s look at an example, then I’ll explain. Don’t wake Sherry up before 7AM. The first example has ‘Sherry’ in the middle of the phrasal verb! The second example is also correct verb and preposition are used together and Sherry (the person, thing or subject of the sentence) is placed after. “Take up” is an example of a phrasal verb that can be used separated or without being separated. Both of these sentences are perfectly correct. Some phrasal verbs have to be separated to sound correct, while others are inseparable… Confused yet? Sooooo, what is the best way to learn something that has no rules, patterns or logic to what their meaning could be?? Get 20 Phrasal Verb Lessons Here! Trying to learn these verbs by studying a list will not help you to use them in conversation or while you are speaking. Just like every other aspect of learning English… Memorization doesn’t help you speak better. The only way to speak well is to practice using everything you have learned. In this case, you need to practice using them in context. Just like every other aspect of learning English… Memorization doesn’t help you speak better. The only way to speak well is to practice using everything you have learned. In this case, you need to practice using them in context. Stop Trying to Learn ALL of Them at the same time! This might be the best advice you have heard yet. The fastest way to learn phrasal verbs is to only learn a couple at a time. Overwhelming yourself with trying to memorize a gigantic phrasal verb list that you downloaded will leave you feeling frustrated and be a waste of your time. Just like you have learned other vocabulary, it is important to learn a little bit each time you study. Try to learn the meaning of a phrasal verb that you see when you are reading an article or listening to an English conversation audio. Whether you are studying British or American English, you will find the most commonly used phrasal verb in everyday English conversations or casually written article like blogs. Once you find a new one, you should learn the meaning, look for examples, then try to use the phrasal verb in a few or your own examples. Really try to connect it to the meaning and understand what it is trying to say. I know it’s hard to do this but it is really important. It’s best to stop thinking about the individual meanings of each word that is being used. You already know that the two (or 3) words that are used in the phrasal verb are not related to the meaning of the main verb. You will have to think about the new meaning when those 2 words are used together. Imagine it is a new verb or a brand new piece of vocabulary or a different way of expressing a ‘normal’ verb. The way we like to teach English phrasal verbs is telling our students to forget about the grammar aspect and all the technical stuff that you could be filling your head with and just focus on the meaning. You need to develop a sense of what ‘sounds right’ and what ‘sounds wrong’. Lots of examples that use the new phrasal verb in context will help you understand the meaning much easier. Hearing it in an audio lesson can help to train your brain to recognize what is ‘right’ or ‘wrong’ as well. In our lessons, we explain the meaning of the phrasal verb by giving you an alternative meaning or an another way of expressing the same idea. You will hear 2 sentences. Everyone was jumping off the bridge into the water but Joey chickened out. Everyone was jumping off the bridge into the water but Joey decided not to do it because he was scared. A lot of people want to have their own business but they decide not to because they are scared of not being successful. In these examples, you will see that ‘chicken out’ is inseparable. By listening to the audio lesson a few times, it will start to make sense and you be familiar with these examples will help you to remember the meaning. When you listen to a story you see the characters and what they are doing like a movie in your mind. This is what is going to help you bring a connection to the meaning of the phrasal verb faster and easier! Stories are fun and the context of the story helps your brain to predict what is coming next. When you hear the phrasal verb, you will naturally start to understand what is being said. Here is an example of a phrasal verb story using ‘chicken out’. Don’t worry if it is hard to understand, the meaning of the phrasal verb is written beside it in the transcription (or download). John applied for a job that he felt he would be well cut out for (be suitable for) which was to be a chef at a fancy French restaurant. John needed to earn more money as a chef and it had finally got through (was understood) to him that he needed to work at a nicer restaurant. After a few days, the restaurant had weeded out (eliminated) all of the applicants that were not qualified and they got through (reached by phone) to John immediately when they called him to set up the interview. The person on the other end of the phone had a watered down (weak) French accent. Although John felt a bit intimidated by the interview there was no way he was going to chicken out (decide not to go because of fear) of the opportunity. As part of the interview they were asking for (requesting) a cooking demonstration; specifically how to water down (add water to dilute) a pot of soup without losing to much flavour. John thought this challenge was strange and was asking for (provoking a negative result) a poor quality soup but he knew he would have to get through (survive a difficult task) the challenge in order to get the job. Audio based lessons can be really helpful to learn how phrasal verbs sound so that you start to develop that instinct for what “sounds right” and what “sounds wrong”. 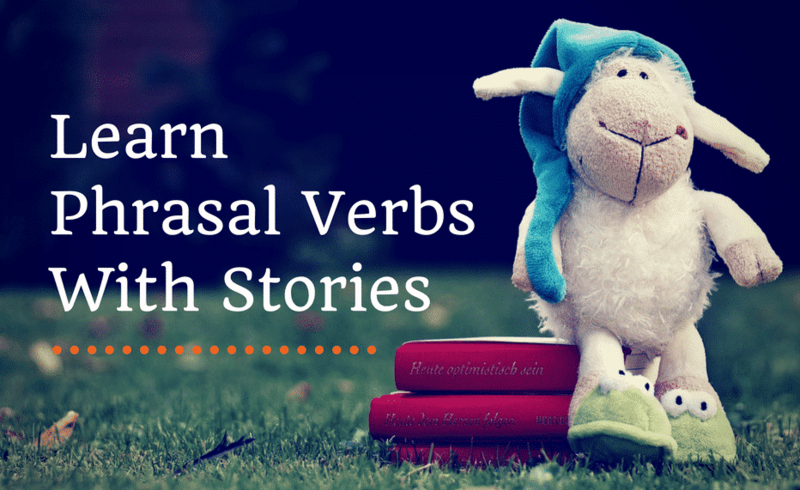 Our phrasal verb course features 250 lessons and 25 phrasal verb stories! 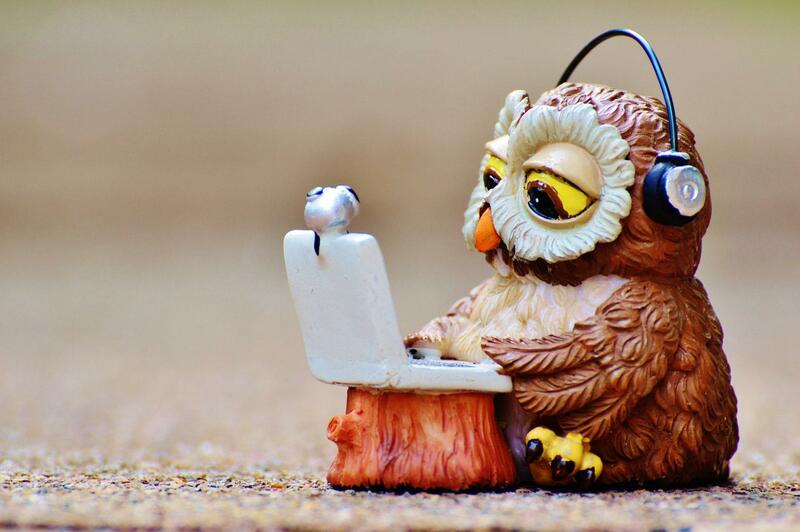 You can download all the audio MP3 files and PDF transcriptions. By being able to hear the lessons and also read them, you will quickly be able to connect the meaning to some of the most common phrasal verbs in English. Download a sample pack of our phrasal verb lessons here. Don’t forget to check out the English Conversation Lessons which are filled with phrasal verbs that we (native speakers) are using naturally as we have interesting conversations about different topics. A truly fun and interesting way to learn phrasal verbs! Download an English Conversation Lesson here. In this video you will hear Amy and Curtis discuss the English phrasal verb ‘take down’ and how it means to write something. We give a couple of real life examples to help you understand how to understand the meaning of this verb.